How often do your ideas slip your mind as you didn’t write them down? Starting from today we’ll take care of this and won’t let your muse fly away! 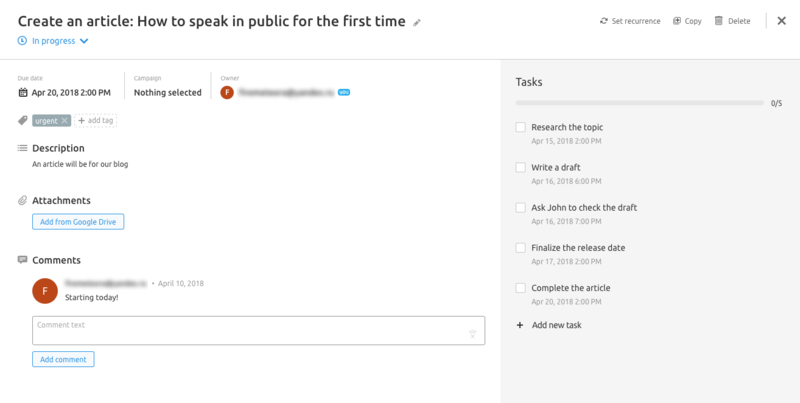 SEMrush has created a handy workflow for content marketers in one toolkit — you can now find ideas for your future content and turn them into an action plan straightaway. 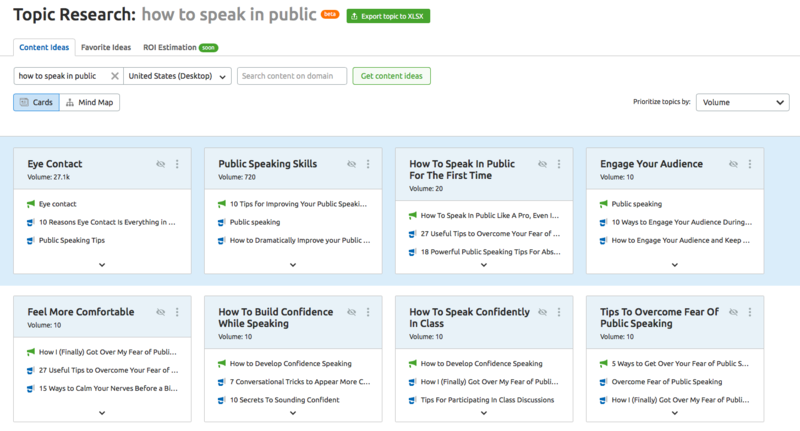 Searching for the right content idea is simplified by Topic Research with just a few clicks. To get ideas, go to the tool and just enter a keyword. After some quick data gathering, Topic Research will show you popular subtopics, headlines and questions related to your keyword. A quick start, isn’t it? 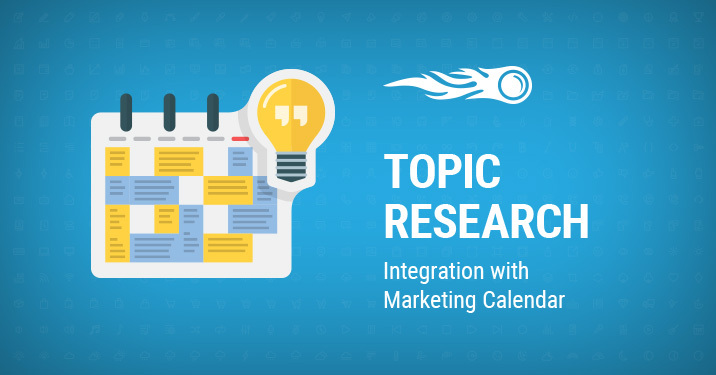 Once you’ve studied the ideas cards and selected a subtopic, you can save it as a content task to Marketing Calendar either directly from the front page, or from the ‘Favorite Ideas’ tab. 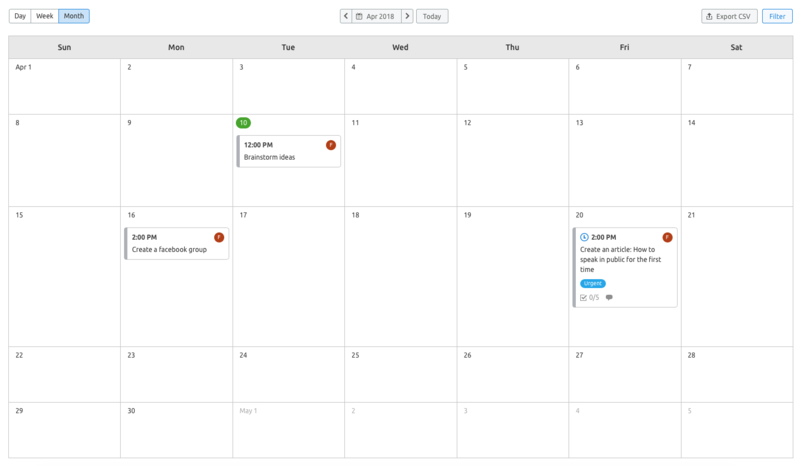 Click on the ‘Schedule content task’ button with a calendar icon. If you haven’t set up a Marketing Calendar before, the wizard will prompt you to create it in no time. You can edit an activity title and set a deadline. Choose your campaign or create it later. Once your activity has been created, click on the grey box on the top right to go to your activity and edit it. Now you can set a status for your activity, add a description, specify tasks and assign them to your colleagues! 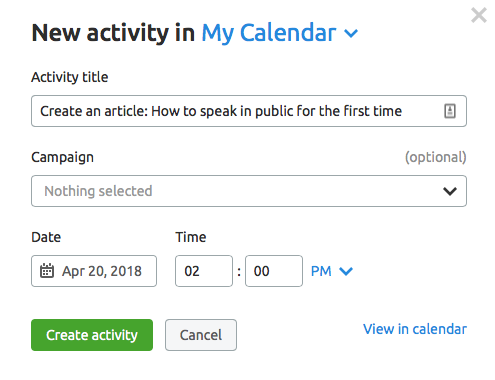 That’s it, create more activities using Marketing Calendar, manage your content tasks in time and forget about missed opportunities! We really hope that this workflow will make your planning process easier and allow you to get more work done faster. What do you think about this update? If you have any feedback or ideas on how to improve the tools, share them with us at [email protected]. Stay tuned, as more enhancements are on the way!